We take an innovative approach to creating award winning bespoke and classic Ceylon Teas, plus Spiced Fruit & Herbal Infusions, from the island of Sri Lanka. Supplying Retail and Foodservice with a friendly, efficient and speedy service. Our bespoke collection of rare Green & White Ceylon Teas and classic Orange Pekoe whole leaf Ceylon Teas are grown and hand-picked on the ethical tea plantations of Sri Lanka. Our naturally flavourful range of Spiced Fruit & Herbal Infusions are packed only with natural whole spices, herbs and fruit – most are caffeine free. 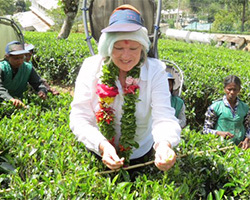 We work closely with our selected tea blenders in Sri Lanka to put innovative thinking into our quality whole leaf teas, our bespoke blends of classic brews plus our herbal and fruit teas. 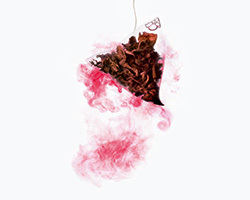 This has resulted in a unique range of premium Ceylon teas that offer the tea drinker a cup of tea for every mood or moment. 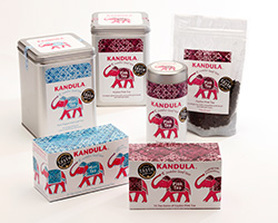 Our range of Ceylon whole leaf teas 'Jumbo Leaf Teas' and Spiced Fruit & Herbal Infusions are available in our beautiful pyramid tea bags 'Tea Gems' and loose leaf in our distinctive tea tins or refill purses.